I applied Gesso to my white cardstock and my choice of two 6x6 sheets of my patterned paper. I thought doing this would calm down the patterns and look a bit snowy. I left the second sheet of the same paper as is. Not sure I accomplished what I set out to do but who cares, I like the end result. 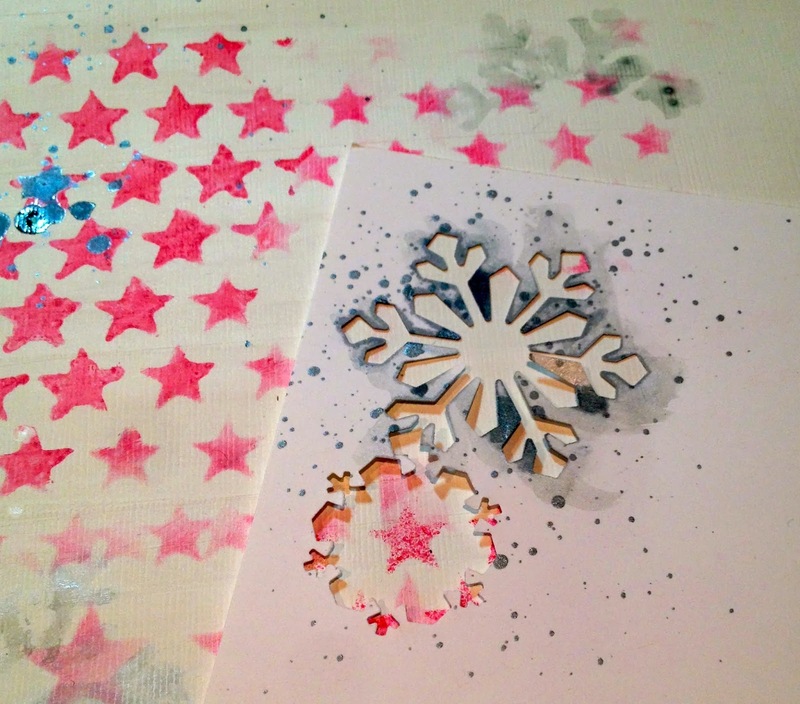 I punched a few snowflakes and then used the negative as a stencil. I watered down the silver ink spray and carefully colored inside my stencil in random places on my page. 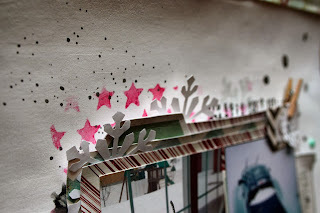 I tried to keep my clump of masking and stenciling to the area around my photo collage. 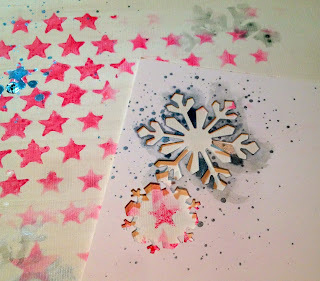 With my layering of papers and snowflakes completed, the only item needed was splotches of ink. I LOVE the look of the white splatters. Makes it look like snow don't you think? I also added a light blue flower. I looked through my stash and found that the Autumn Hues Resin Flower worked best with this layout. I hope that you have been inspired to create. Join the Eclectic Paperie team again tomorrow for more creative work. I love it. I love how gesso can take pattern paper and change the appearance, either a lot or a little. Your layout is awesome and the little teal flower is the perfect touch of color. Great layout!! 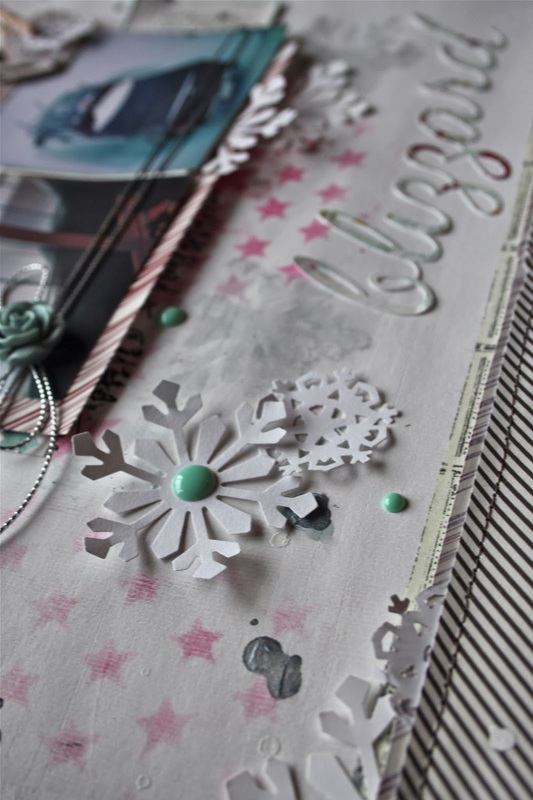 I love the mix of mixed media and scrapbooking ... you have just the right balance! I can never get it just right, so thank you for sharing!! I love your layout, Mary Anne!! I remember that snow!! We didn't get it as bad down here in PA! Anyway, I love the simplicity of your page! 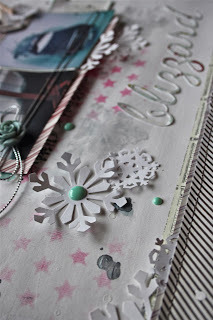 Mary Anne, LOVE the stenciled BG and the paint drips! FAB photos and the blizzard word is just PERFECT!